Being charged with Murder means that you are likely facing life behind bars. When your life is on the line, you can only put your faith in the hands of the best criminal defense lawyers. Attorney Shaheen Manshoory specialize in handling murder and attempted murder cases. We have developed a reputation for taking on the most difficult murder and attempted murder cases and repeatedly coming out on top. A charge of murder is defined loosely as the killing of another human being with malice aforethought. Anytime someone is killed, it’s possible that you can be charged with murder or manslaughter. Murder is usually charged if the District Attorney believes that you committed an act intentionally and without any provocation or mitigation. Manslaughter is charged if the District Attorney believes that you may killed someone but may have done it through recklessness or you may have been provoked in some way. Knowing the nuances of Murder, Attempted Murder and Manslaughter laws is absolutely vital to your defense. An experienced attorney that aggressively pursues your case, can highlight what are some “holes” or weaknesses in the prosecution’s attempt to prove you are guilty of murder, attempted murder or manslaughter. The key is knowing your facts and your case better than anyone. Attorney Shaheen Manshoory takes a careful approach to each of their murder, attempted murder and manslaughter cases with the solid approach that ensures an effective result. All the evidence is reviewed piece by piece, leaving nothing unturned. Most importantly, we don’t rely on the prosecution’s theory of the facts. 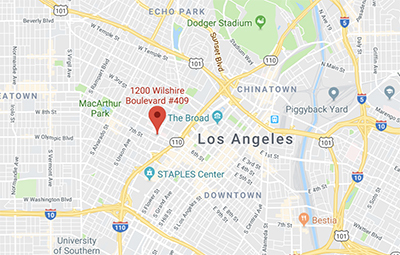 Our office has L.A.’s top team of investigators to re-visit the crime scene, re-interview the witnesses and to attack the prosecution’s evidence. Our investigative team has decades of experience with crime scene investigation and aiding in the presentation of a defense. When all evidence is gathered, our team prepares for your defense. This means having the top criminal defense lawyers brainstorming about your case, your witnesses and how to win your trial. The results speak for themselves. You need a team on your side when your life is on the line and that’s what we provide. The presentation of a defense, not only prepares our client for trial, but also any forensic or expert witnesses that we may need to help our defense. We have used eyewitness identification experts, gang experts, ballistics experts to testify on your behalf. We stop at nothing. Possible defenses to Murder & Attempted Murder Charges. Having handled many different cases with just as many different facts, we know that each case deserves a unique defense. A thorough research of your cases and any possible witnesses is needed before we formulate the best defense for your particular case. In Murder or Attempted Murder cases, the main issue is whether the prosecution has the right guy or not. These cases come down to a battle of eyewitness identification between the defense and the prosecution. Most murder prosecutions that deal with Eyewitness Identification are based on witnesses being shown pictures or lineups. Our Firm knows how to attack the prosecution’s eyewitness identification case and have it discredited. The key is to not only know your job as a defense attorney, but also that of the police officer that sets up an identification of a suspect. There are clear cut rules that need to be followed by the police and when they fail to follow them, an experienced criminal defense attorney can attack. The key to presenting a self-defense theory is to have the facts to substantiate the defense and show the jury that our client had no other reasonable alternative than to use deadly force. For this reason, a self-defense theory can be very tricky. A jury will want to hear from your client, if he is claiming self-defense. The risk you take is that if your client does not convince the jury that he acted in self-defense, he is basically admitting to the charges (by admitting he used deadly force). Our extensive preparation is what sets us apart from most criminal defense attorneys. We believe what distinguishes us from other defense attorneys is our thorough preparation and commitment. If you know your facts better than your client and you use that control in court, you can dictate the trial and not let the trial dictate to you. Preparation also prevents surprises at trial. Putting forth a self-defense theory must seem like a seamless and fluid defense and not a choppy, unprepared recital of facts.